Chest, Bottoms, Gloves, and Boots of Seasons – released 23 June 2016, discontinued 10 July 2016. All four pieces of the 2016 seasons set were created in a single action by combining the respective spring, summer, autumn, and winter chest, bottoms, gloves, or boots. Gem necklace, crown, and cape tokens – released 2 June 2016, discontinued 14 June 2016. Gem necklace, crown, and cape tokens used to be obtained during the Gemerator Treasure Hunter promotion, and during the Gemerator’s single-day mulligan. Meditation rest animation token – released 3 August 2015, discontinued 19 August 2015. Meditation rest animation token used to be won as a rare prize on Treasure Hunter, and/or through the Death Lotus Training event. Crab hat (tradeable) – released 28 June 2015, discontinued 12 July 2015. 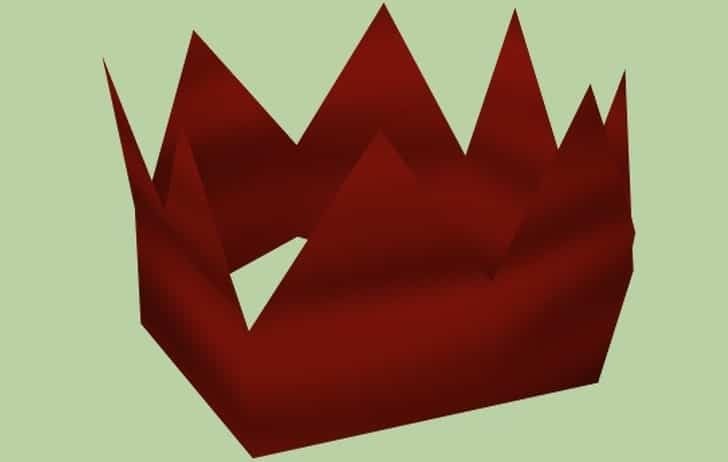 Crab hat used to be obtained from the Big mystery box. When a player wears it he transforms into crab. If the player takes a picture of his character as crab though, the item becomes untradeable. Summer prize token – released 25 June 2015, discontinued 28 July 2015. Summer prize tokens used to be obtained from the Mystery box. The player can redeem the for Sand cape, Winston, Coconut hat, Spade and bucket overrides or Sandcastle Lootbeam. Ship’s Biscuit – released 18 September 2014 , discontinued 25 September 2014. Ship’s Biscuits used to be available by purchasing for 100 Doubloons, gained from Treasure Hunter. Edible and heals 250 life points. Boosts a random skill. Ship’s Biscuits cannot be traded via the Grand Exchange but is among items traded in person. Cloak of Seasons – released 23 May 2014, discontinued 2 July 2014. The Cloak of Seasons used to be created by combining the Cloak of Spring, Cloak of Summer, Cloak of Autumn, and the Cloak of Winter, where each cloak was made by combining items from Treasure Hunter. This entry was posted in How-To Tips & Tricks, Latest OSRS News, Old School RuneScape, OSRS Mobile App, RuneScape 3 and tagged buy old school runescape item, buy osrs items, buy runescape account, buy runescape gold. Bookmark the permalink.